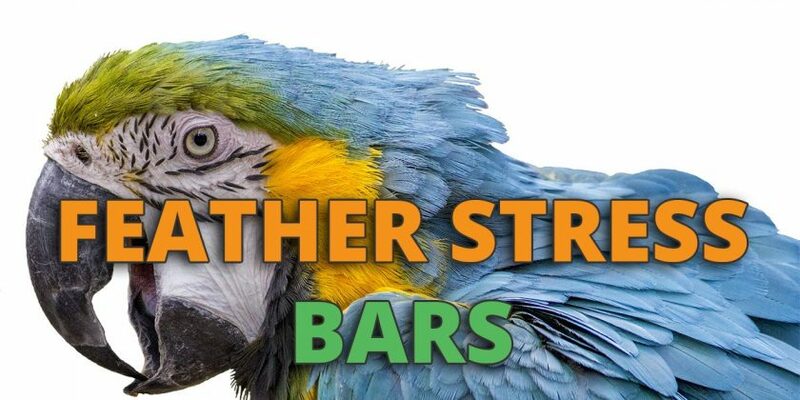 What are feather stress bars? What should you do if you see feather stress bars on your bird? Simply put, stress bars are visible lines that run crosswise through a bird’s feather. 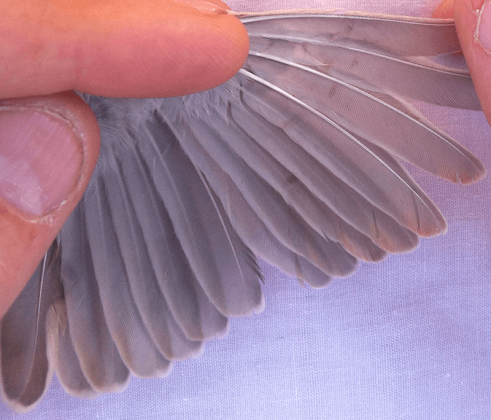 Together with the lines, there’s usually a change in the feather’s width as parts of the feather on both sides have stopped growing and the rest of it has continued the grow from the middle section. It doesn’t take an avian vet education to realize that this can’t be good for your bird – it just needs a moment’s thought. According to Good Bird Inc., feather stress bars are a deformity of the feather that can drastically reduce its effectiveness. As feathers are essential for the proper flight and survival of any bird, for a wild bird these stress bars can be a problem with life-or-death consequences. Of course, most pet birds’ lives don’t depend on their flight, but feather breakage is still an issue. Furthermore, the problem with feather stress bars doesn’t lie only in the bars themselves, but in their causes. Feather stress bars are as much a problem, as they are symptoms of other underlying health problems. As you can imagine growing feathers all over your body is quite the physical stress for your pet bird. It requires huge amounts of proper nutrition – in particular proteins, vitamin A, amino acids and calcium – as well as a lot of rest and a calm and secure environment. The former is the first main cause for feather stress bars – a lack of proper nutrition. This is why you should always give your bird a nice extra dose of food during the molting phase. Buying a new bird and transporting it to your home. Any form of significant stress can lead to a problems in the feather growth of your bird and in the forming if feather stress bars. According to a research paper from the Conservation Physiology journal, the physical condition and stress levels during the early development of some birds can affect the stress levels and feeding rates in adult birds. So this essentially means that a bird with a traumatic childhood is more likely to be easily stressed as an adult bird. What are some of the other signs of stress in pet birds? Aggression is not uncommon for a lot of birds, but it’s also not something that should be viewed as common. A properly raised and taken care of bird should not show signs of aggression. Especially if your bird hasn’t been aggressive before, a sudden display of aggression is a strong indicator of stress. Obviously enough, in birds as in other animals, fearful behavior is a serious sign that your bird is stressed. If there is no actual threat for your bird to be afraid of, or if she is displaying fear towards things that haven’t scared her before, this can be a significant sign of stress. Appetite loss can be a sign of a lot of things, including depression or an internal health problem, so you should always consult with an avian vet if your bird stops eating. However, it can also be a telltale sign of stress. Birds love to play, and their playing usually means the destruction of a toy or an item. There is a difference between playing and actively destroying something, however – if you notice a destructive behavior in your bird, you should immediately consider stress as a probably cause. If you bird is plucking it’s feathers then it is highly likely to be doing this out of boredom or due to it being stressed. Keep an eye out for this behaviour combined with feather stress bars. Now that you know what feather stress bars are, the next question is – what to do about them? The first thing you should consider is what caused the stress bars? Is there something in the bird’s environment that brought her stress? What can you change to prevent stress bars from ever happening again? As with any other physical problem, you should always consult with an avian vet as soon as possible. 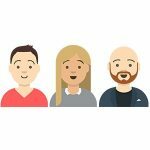 Reading articles online and gathering know-how is always a good thing, but when your pet’s health is consult, never forget to seek professional help. Remember that stress bars aren’t caused only by stress but can also be the result of lackluster feeding. Make sure that you’re feeding your bird properly, especially during molting. Thank you, I will check it out and see if all goes well with my 🐦.